Tibet – a fairytale or a ground for dirty politics and do we care anyway….this is a question that has been lingering in my mind for a number of years. “Independence, Dignity and Identity” is what I believe have been enshrined into the very doctrines of the human race and any attempt to vandalize them is a crime against humanity and I feel myself brutally murdered, when I come across the number of self-immolation attempts by the Tibetan monks and students every single day, which is nothing, but merely a manifestation of the increasing frustration among Tibetans and gruesome Chinese crackdown on any attempt of dissidence. 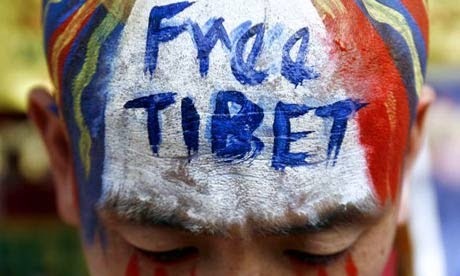 I’m scared to assert the fact that the journey for the Tibetans is going to be even more strenuous in the coming years.  Are Tibetans Chinese people?  Was Tibet historically a part of China or was it a free nation?  Why did China send its forces to Tibet in 1950 and whether this act constitutes the crime of aggression in International Law?  Why did Tibet sign away its sovereignty only to make so much noise later by repudiating the Seventeen Point Agreement on June 20, 1959?  What is India’s stand, and did India appease China and betray Tibet?  What is the legal status of Tibetans, and their government in exile having its separate constitution? Do they have a right to self-determination?  Why was the Tibetan question never addressed by the UN or the International Court of Justice even in the wake of the report of the International Commission of Jurists in 1959-60 affirming that the crime of Genocide was committed by Chinese in Tibet, human rights violated, and the in view of the Legal Inquiry Committee, throughout the period 1912-1950, the Government of Tibet exercised exclusive authority in domestic affairs within the territory? Do we have the answers? Yes we do… depending on which side of the fence we are. Let me analyse a very common question that has been raised number of times regarding the negligence of the mainstream media and powerful politicians round the globe when it comes to Tibet. Is it apathy of the media or something else? The reason is very simple and sounds perfectly logical. The growing economic prowess of China (it is on the track to overtake U.S. by 2027 and is currently the second largest economy of the world) has forced the world leaders to mitigate their moral sentiments and culminate their economic benefits. With the euro-zone in deep crisis and China being the single largest holder of the U.S. treasuries (around $600 billion), all the leaders from Merkel to Obama are queuing for Beijing to purchase Euro bonds and rescue their paralysed economy. In such a situation, they are increasingly scared to annoy China and thus are reluctant to rake up the Tibetan issue. What do I gain? Nothing. What do I lose? A whole lot and more. Why then would you respond? Yes I am talking to all those at the helm of affairs, at the helm of power, the kings and queens, so called, or self-proclaimed atleast in their own thoughts. For once believe what ICJ said – “State are abstract entities.” Yes, we are also taught that “all Economics is International and all Politics is National”, but for once shun all teachings and think about the future of this world, of the road that we have taken, and the world that you are leaving behind for me, my generation. Think and answer. For once, speak. So, keeping in mind the recent spate of events should we assume that “Tibet is a lost cause”? As an optimist, I can still see a silver lining in this cloud. Hitler once said “success without struggle is merely a victory but success with struggle is a never-forgotten history." I can only exhort the Tibetans to keep their spirit alive, because it was determination that helped the Indians to win their freedom, it was once again the same determination that led to the victory of the Egyptians over their dictators, and it will be the same determination that will liberate the Tibetans from the Chinese. NOTE-- Sunanda Guha is an Indian student pursuing her MPhil in political science at Madras Christian College in the southern Indian city of Chennai, India and she is a former intern at Center for Security Analysis, one of the best think tanks based in south India.